Profession… Chicago police detective. Spooner is what they call an “asset.” He’s a deadeye shooter, and his robotic arm gives him superhuman strength. He is always butting heads with his superior, Lieutenant John Bergin. Interests… throwback styles and technologies. Spooner wears Converse sneakers (“vintage 2004”, he boasts), listens to Stevie Wonder, and furnishes his apartment with outdated appliances. It’s the Luddite in him. Relationship Status…. divorced, from his ex-wife Marci. Challenge… uncovering the truth behind the death of Alfred Lanning. One day Lanning, robotics pioneer and head of U.S. Robotics, mysteriously plummets from his office to his death. The First Law of Robotics dictates: “A robot may not injure a human being or, through inaction, allow a human being to come to harm.” The coroner declares Lanning’s death a suicide, but Spooner believes that it was the result of a violation of the First Law. He is assigned to the case and enlists robopsychologist Susan Calvin to assist him in his investigation. Personality… outspoken, independent, stubborn. Spooner is pretty mellow, until you bring up robots. His suspicion of robots is an unpopular and even radical position in 2035. People see him as a conspiracy theorist, but he doesn’t care – he waves his freak flag high. Del Spooner's popularity ranking on CharacTour is #2567 out of 5,000+ characters. See our top-ranked characters and read their profiles. In the year 2035, where robots are common and abide by the three laws of robotics, a techno-phobic cop investigates an apparent suicide. 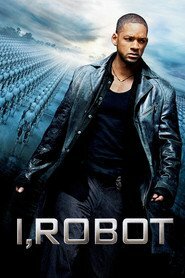 Suspecting that a robot may be responsible for the death, his investigation leads him to believe that humanity may be in danger.